Happy Friday, my friends! It is getting colder by the day and because of that I love hot dishes. Casserole, soups and stews oh my! But you can’t forget the side dishes and this one is a winner! I love this Corn Casserole and I make it anytime I make potato soup. It’s always my go to side dish because it goes great with the soup. Mix everything together and pour mixture into greased 9×13 casserole dish. Bake 45 minutes. 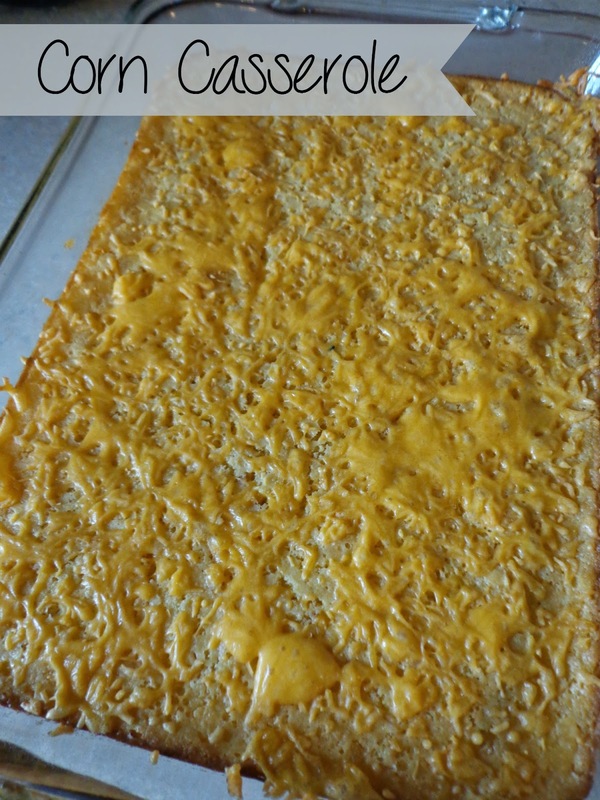 Take out of oven, sprinkle cheddar cheese over top and cook for another 5 minutes. I’ve never made it with cheese! I have to try that next time. Yum!